Bitcoin and cryptocurrencies have been a godsend for online and mobile poker players because governments in certain countries have done everything in their power to ban this game of skill. In the United States, sites like PokerStars and Full Tilt Poker were forced out and the government made it very difficult for USA citizens to use their bank accounts or credit cards to fund their betting accounts. Something similar recently happened in Australia when a ban on online poker meant that PartyPoker and 888poker had to withdraw their real money poker apps from Google Play and the iTunes App Store. Thankfully, if you use cryptocurrencies like Bitcoin, Litecoin or Ethereum, you can bypass any government restrictions that try to prevent you using poker apps or playing at mobile casinos and mobile sportsbooks . Cryptocurrency real money poker apps have improved greatly over the past couple of years and now offer more advanced features like Multi-Table Tournaments, Sit N Go's and Freerolls. You can choose to play mobile poker anonymously at bitcoin-only poker sites like SwC Poker and Nitrogen or you can use crypto to deposit at major poker brands like Bovada and Americas Cardroom who also now offer excellent iOS/Android poker apps. Since re-opening its doors in 2017, Bovada Poker has regained its place as one of the US online poker industry’s leading players. What attracts players to the site is its sizeable player pool, fast-fold poker format (known as Zone Poker) and large-guarantee tournaments. For those who aren’t familiar with fast-fold poker, it’s the same as regular poker except that it places you at a new table and deals you a new hand every time you fold. This means you get dealt way more hands than usual—usually four times as many. It’s a natural fit for mobile poker, where playing lots of tables simultaneously isn’t feasible. Zone Poker is pretty much the same as any other fast-fold format, with the added caveat that everyone is anonymous. Whether you prefer this or not is up to you: on the one hand, players won’t be able to recognise (and potentially exploit) you, but on the other hand, you won’t be able to recognise them. Being one of the most popular US poker sites, Bovada’s player pool is large enough that you’ll rarely struggle finding a game. The standard of play is fairly poor—certainly a lot lower than at international sites like PokerStars. One of the benefits of playing at Bovada on mobile is that HUDs are banned, meaning you won’t be at a disadvantage against desktop users who otherwise may track your playing stats. The graphics both in-game and in the lobby are fairly dated. That’s not to say they’re bad—they’re plenty responsive and intuitive—but they’re not as slick as other sites and could certainly be more mobile-friendly. 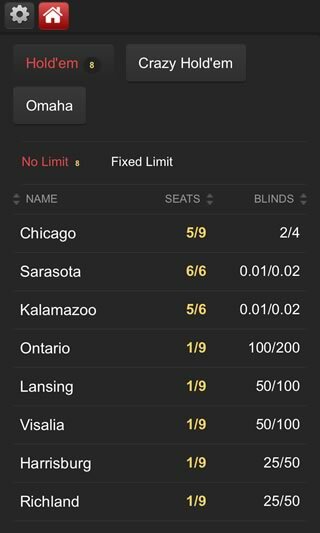 That said, this is somewhat mitigated by the inclusion of Zone Poker and a quick seat function, which take away the struggle of finding a game on mobile. Ultimately, whether you like the graphics or not will come down to personal preference: if you’re a fan of how poker sites looked and felt in the late 2000’s, you can’t go wrong with Bovada, but if a snappy UI is a must, you may want to look elsewhere. Bovada offers a 100% Welcome Bonus for new players which matches your first deposit up to $500. Like all other welcome bonuses, its released incrementally, so you’ll have to do a fair bit of grinding to get it all. They also have a refer-a-friend bonus worth up to $100 and a lucrative loyalty scheme. In terms of support, Bovada does a great job of guiding players in their extensive “Help” section. If, however, you need assistance beyond this, or would just like a helping hand, you can email them at service@bovada.lv, use their live chat feature or call 1-800-953-0584 to talk to one of their customer support representatives. The client is browser-based, meaning you don’t have to worry about downloading an app. Nitrogen Sports Poker is something of an up-and-comer in the online poker industry. Nitrogen Sports, on the other hand, has been around for several years now and has built a name for itself as one of the most reliable bitcoin gambling sites out there. Indeed, many of Nitrogen Sports Poker’s users come from their sportsbetting arm. As you’d guess, the player pool isn’t quite as large as more established brands like Bovada or ACR, so you may not be able to play your preferred game around the clock. On the bright side, however, the skill level is, in our fairly limited experience, particularly low, which is likely due to the fact that most players are sportsbettors first and poker players second. The overall look and feel of the mobile app is surprisingly slick. The in-game graphics are minimalistic, with easy-to-read text and color-coded action buttons. What’s more, there is a four-color deck option (a feature that is notably lacking from many other poker sites), so you don’t have to worry about misreading suits. Overall, the mobile interface is intuitive and well-optimised; it certainly doesn’t feel like a desktop client that has been scaled down to fit a mobile screen. Like Bovada, the app is browser-based, so no download is required. Luckily, mobile users have access to the same functionality as desktop users, meaning cash games, Sit & Go’s and multi-table tournaments are all available, as well as the ability to multi-table. In addition to Texas Hold’em and Omaha, Nitrogren Sports Poker also offers Crazy Pineapple, a variant popular at home games in which players are each dealt three cards and have to discard one after the flop. Buy-ins start from just 1 mBTC, so if you’re new to poker, you can learn the ropes without having to risk too much. Probably the biggest advantage of using Nitrogen Sports Poker is the anonymity it affords its users due to it being bitcoin-only. Registering and depositing doesn’t require a name or even an email address: just enter a username and password as you’re good to go. Google 2FA can also be used if you’re concerned about someone stealing your login details. Unfortunately, their support system isn’t as quick as fiat currency gambling operations, as it uses a ticket system rather than live chat or a hotline, but we’ve found that they’re pretty good at responding to problems in a timely fashion. BetOnline is certainly the dark horse of this list. Originally a sportsbook like Nitrogen Sports, it branched out into poker a few years ago and has done rather well out of it, surging in popularity to become the third largest US-facing poker room. Probably the biggest draw of playing at BetOnline Poker is that their mobile app offers all the same functionality as their desktop client. That means you can play cash games, Sit & Go’s, multitable tournaments and Speed Poker—BetOnline’s fast-fold format—all from your mobile phone. Their tournaments run fairly frequently and attract a fair few players, though don’t expect any mind-blowing guarantees. There are multiple tournament structures on offer, including freezeouts, progressive knockouts, turbos and re-buys, and the rake is reasonable at 10%. Cash games are available in both No-Limit Hold’em and Pot-Limit Omaha, and run around the clock in a variety of stakes—although they do tend to slow down heavily at off-peak times. In terms of standard of play, it’s just as soft as Bovada/Ignition (if not softer), so you don’t have to worry about shark-infested waters. The graphics are well-done, if a bit unimaginative, sporting a trimmed-down look with minimal visual clutter. The lobby uses the classic list-and-tabs format, so will be easy to use for anyone who has used a desktop poker client before. Thankfully, it’s been scaled down well to fit onto a mobile screen, so it’s not too fiddly to navigate. Likewise, the in-game action is smooth and easy to follow. The customisation options are also impressive: a four-color deck option is available and there’s a suite of different themes and sound effects to choose from. BetOnline offers an array of lucrative bonuses. New players are eligible for an uncapped 100% First Deposit Bonus. Simply send an email to poker@betonline.ag with the bonus code NEWBOL as the subject line. A Bad Beat Jackpot is also on on offer which stands at over $400,000 at the time of writing. Whenever a bad beat occurs—defined as quad jacks or better being beaten at showdown—the jackpot is split amongst all players currently playing at a BJJ table, with 20% going to the victim, 12.5% going to the winner, 12.5% to the players sat at the table and another 12.5% going to all other players, with 30% being seeded into the next BBJ. Americas Cardroom, or ACR of short, is one of the top three most popular US online poker rooms, with over one million hands played every day. It’s seen as the go-to poker site for US players looking for a quick spin. ACR operates primarily as a fiat currency poker room, so the size of its player pool is much larger than at bitcoin-only poker rooms. It’s part of the Winning Poker Network, meaning that the player pool is integrated with the player pools of a dozen other sites. Luckily, ACR automatically converts bitcoin deposits into USD, so you’re not missing out on anything by using bitcoin. The support system is fairly comprehensive: you can call their help hotline on 1-877-314-4195, email them at support@acr.com or use their live chat to speak to a help representative over instant messaging. ACR offers all of the game options you’d expect from such a large site: cash games, Sit & Go’s and tournaments in a variety of poker variants including Omaha and Seven Card Stud. The tournaments often boast impressive guarantees: the Sunday Special, for example, has a guaranteed prize pool of $100,000 with a buy-in of $215. There are smaller tournaments on offer though, many with equally large guarantees relative to the buy-in. Cash game stakes range from 1c/2c (perfect for learning how to play) all the way up to $25/$50 for No-Limit Hold’em and can be played heads-up, six max or full ring. If you’re a fan of lottery poker formats like PokerStars’ Spin & Go’s, then ACR’s got you covered with Jackpot, a new format which sees three players compete for a prize of up to 2,500 times their buy-in. Unfortunately, as it stands at the time of writing, ACR only offers its Jackpot game to mobile users. However, they have plans to roll out the rest of their selection to mobile users in the near future. ​Ignition Casino acquired Bovada Poker in August 2016, and as a result they share the same software and player pool. That means that everything we had to say about Bovada’s game selection (including Zone Poker) and player pool will apply to Ignition as well. Ignition Casino and Poker Room is exclusively for real money poker players in Australia and the United States. So, why pick one over the other? Well, of course, if you’re already registered with one, it makes sense to continue using that one. There are also the bonuses and promotions to consider. At Ignition, new users will be given a welcome bonus of up to $1,100. What’s more, any deposit made with bitcoin will receive a 100% free casino money bonus on deposits equivalent to $1,000. 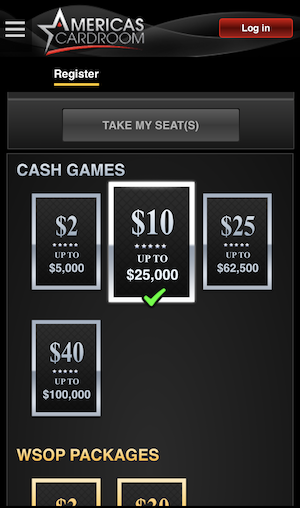 Finally, they offer a $1,000 Bad Beat Poker Bonus if you lose with aces full of kings or better at any cash game table. All of these bonuses come in addition to their fairly generous loyalty scheme that offers free prizes and cashback. Anyone who has played poker online should have no problem playing poker from their Samsung Galaxy, iPhone or HTC device. Despite this, we put together a list of common questions that might help some newbies. DO MOBILE POKER ROOMS SUPPORT MULTIPLE CRYPTOCURRENCIES? All the poker sites listed on this website allow you to deposit and withdraw using Bitcoin. Some poker rooms also support Ethereum, Bitcoin Cash, Monero, DASH, Dogecoin and Litecoin. If you are playing at a major offshore poker room, you can also use your Visa, Mastercard or American Express to make deposits in dollars. CAN I PLAY BITCOIN MOBILE POKER IF I LIVE IN AUSTRALIA? Yes, while the Australian government has had some success banning poker rooms like PokerStars and Full Tilt Poker, you can still play at any of these Australian online poker rooms. WHICH POKER VARIANTS CAN I PLAY ON MY iOS OR ANDROID DEVICE? 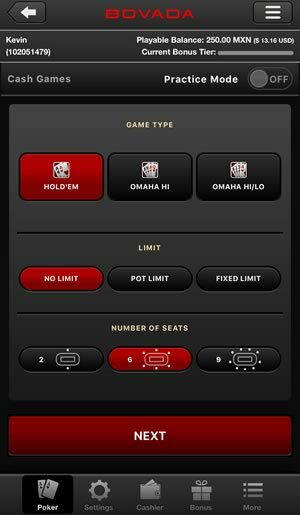 Most poker variants that are available on Mac or PC are also available on smartphones and tablets, so you can play No-Limit Hold'em, Pot Limit Omaha, Seven-Card Stud, 32 Card Draw etc. CAN I PLAY CRYPTOCURRENCY POKER TOURNAMENTS ON MY PHONE? Yes, modern real money bitcoin poker apps offer Sit & Go, Scheduled Tournaments, Re-Entry, On Demand and Satellite tournaments just to mention a few. WHAT ARE THE BUSIEST CRYPTO POKER NETWORKS? Cryptocurrency-only poker rooms don't attract a huge amount of players so we recommend that you play at high-traffic networks like Chico (BetOnline), WPN (Americas Cardroom) or PaiWangLuo (Ignition, Bodog and Bovada) if like plenty of action at all levels. CAN I DOWNLOAD CRYPTOCURRENCY POKER APPS FROM GOOGLE PLAY OR THE iTUNES APP STORE? Unfortunately, you won't be able to download bitcoin poker apps from the Apple App Store or Google Play. The good news is the latest generation of HTML5 mobile poker software is almost indistinguishable from native poker apps that you install on your Android or iPhone. You can start playing mobile poker instantly at any of our featured poker rooms by simply accessing the web-app from your tablet or phones browser.